The Gathering of Eagles is held in Dallas Texas every year and is a source of many new ideas for the EMS Community. It's members are many of the leading Medical Directors in the country. In their 2014 conference Dr. Valenzuela and Dr. Fowler discussed the topic "To Spine Board or Not". We believe this analysis will provide a third way to address this issue other than use them or don't use them. 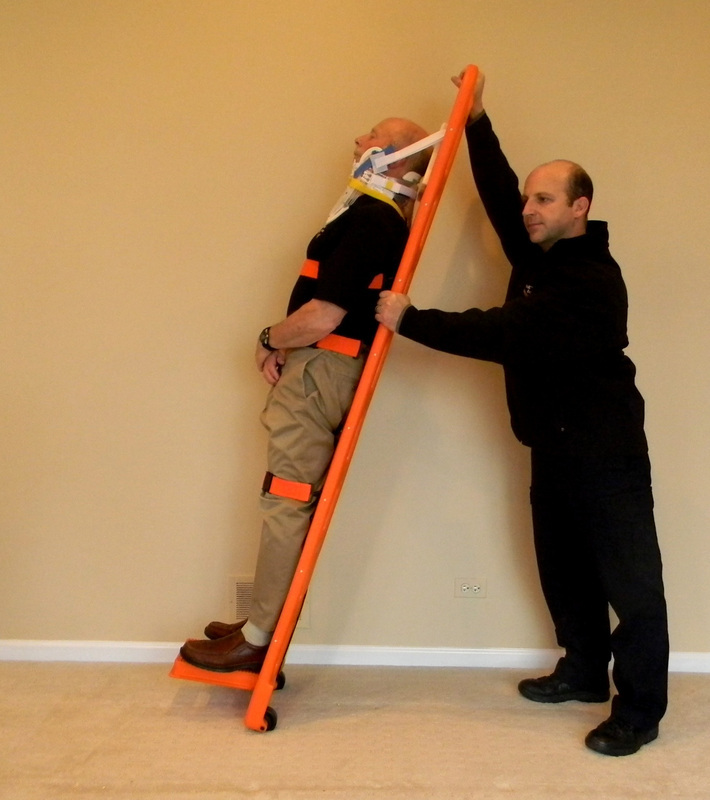 Analysis: Backboards are a tool for transporting patients that must remain supine. A subset of this group is patients that require spinal immobilization. These two groups are not equal. In all of these situations a backboard or stretcher is required. 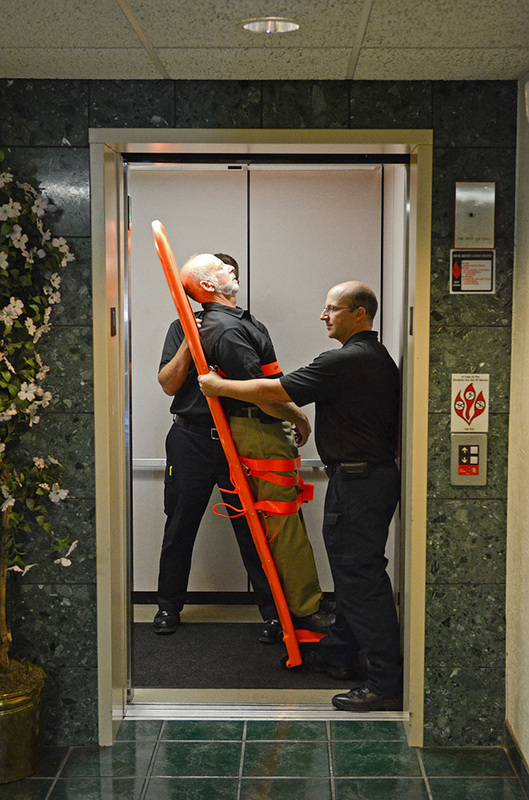 The overuse of spinal immobilization and its potential to do harm. Pressure sores caused by prolonged contact with hard surfaces. First, clarify that backboard use for supine patient transport is acceptable when circumstances do not allow access with a gurney. Provide specific guidance, such as in IL region 10's In-field Spinal Clearance protocol, to clarify when spinal immobilization should or should not be used. This protocol considers mechanism of injury (MOI), signs and symptoms (S&S) and patient reliability (PR). Establish procedures that allow removal of patients from backboards upon arrival at the hospital to minimize pressure sores. Froedtert Hospital (A Level I Trauma Ctr. in Milwaukee, WI) already practices this procedure. 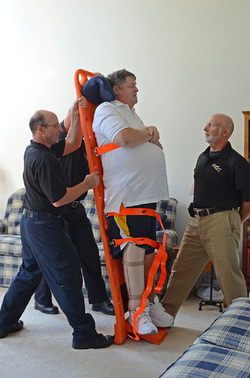 We believe that if the patient transport function of backboards is allowed-for in all those instances where supine rescue is required, and if spinal immobilization is only used when necessary as delineated by Medical Directors, such as in the IL Region X example, then "To spine board or not" can be eliminated as an issue. 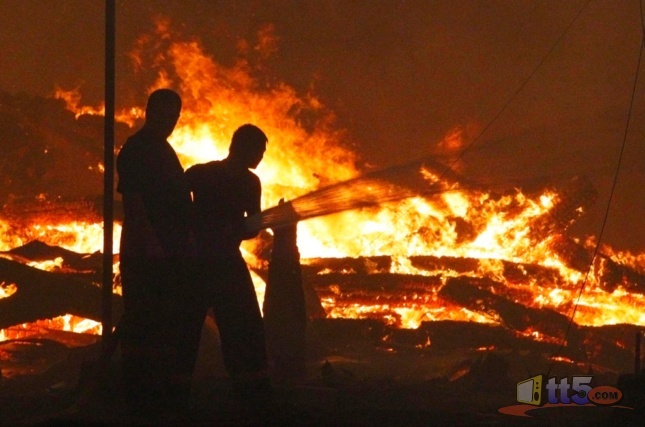 For the last 11 years, Brian Bandel has been a fireman and paramedic in Waukegan, Il. He is the inventor of, and the patent holder for, the WauK® board. Garry Bandel retired as a Director of Quality of Assurance from the Pharmaceutical Industry after a 32 year career. He is Brian's business partner. Free Trial on Amazon Prime! 4 Wheel Parts is a company full of off-roaders. We're good at what we do because we love it. We've assembled a panel of experts, helmed by our CEO & President Greg Adler. Join the Team and show off your rig to the community. You will get the opportunity to trade tips and advice, and be entered into a drawing to win a $500 4 Wheel Parts promo card. You'll also receive a free t-shirt and decal. Find great ideas to make the most of your off-roading adventures, from the experts who know off-roading best. We sell it. We own it. We live it. The Best Place on the Web to get Your Boots! Bootbay.com – Police, Fire & EMS Boots. Shop today! BootBay is The Internet’s Most Popular Boot Store! We feature a huge selection of men’s and women’s brand name Western, Motorcycle, Hiking, Hunting, Work, Safety boots and more. In addition, we also have a variety of casual boots and shoes, handbags, belts, and other accessories. Our boots are in style all season! Dependable and rugged, solar rechargeable K-Light Lantern & Flashlight. This unique lantern is unlike others on the market. It's compact size is perfect for backpacking or stashed in the glove box of the family car. It's batteries can be recharged using the energy from the sun, the 12 volt power source in your car or the outlets in your home. It's water resistant and floats, it's bright and it's light and it can take just about anything you can throw it's way. It also gives back in the form of donations to help provide a safe lighting alternative to those in third world countries.